The best fried chicken is always golden brown and crispy and this recipe checks all the boxes. Add the country gravy and you've got a delicious southern dish that redefines comfort food. 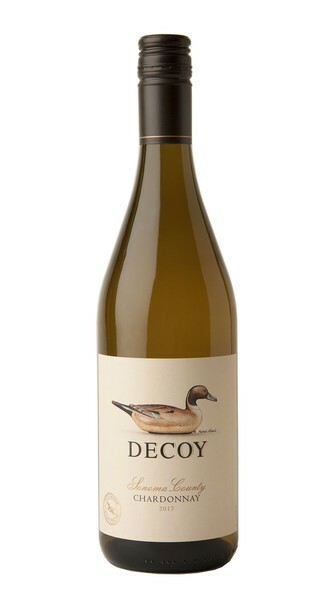 The best way to top off this meal is with a glass of Decoy Chardonnay. Bring water up to a boil with all of the seasoning. Cool down completely. Add Chicken to brine and submerge for 24 hours. Remove from Brine and pat dry prior to breading. Whisk until combined. Season lightly with salt and pepper. Combine all dry ingredients until fully incorporated. Pour 2 quarts of oil into a large enough pot to hold the 2 quarts of oil leaving at least half of the pot space open for frying. When the oil is ready for frying, test with batter and it should bounce in the oil and sizzle. Oil should not smoke. Temperature should be between 325-350 degrees. To assemble the Chicken, keep one hand for wet ingredients and the other for dry ingredients. You will need a sheet pan for the final product to rest prior to frying. Place the egg wash into a wide, flat dish and the flour mixture into a wide flat dish as well such as a hotel pan. Dust the dry chicken thighs from the brine into the flour mixture. Pat off any excess and using the wet hand, dip the chicken into the egg wash. Re-dip chicken into the flour mixture before frying. Fry Chicken until golden brown for 4-5 minutes. Keep warm in a 250-degree oven and serve with Gravy. In a medium size saucepan, melt butter. Add flour and stir to create a paste. Slowly whisk in cold water stirring until fully smooth. The milk should start to thicken slightly. Add the grated cheese, bacon fat and season to taste with salt.